One of my oldest interest. I started read its manga about 10 years ago. It is about one boy name Monkey D Luffy who crave to be a pirate king in pirate ages. His ambition for Pirate King title very enormous and moving. Red Haired Shank, who has inspire him to be a good pirate which not just rob and kill anonymous people in the sea. Shank which turn into one of 4 Yonkou (The Yonkou are the four (currently three) great pirates who rule the second half of the Grand Line (known as the "New World") has land to Luffy's island about 12 years ago when Luffy still age 8 and really influenced Luffy. One day, Shank's team has discover one of thousands Devil's fruit which give the eater unusual power and this one named as Gum Gum fruit. This fruit has been eaten by Luffy by accident and gave him Rubber Power ability but in return, the eater of Devils fruit will become 'hammer' to the sea. They will never can swim. 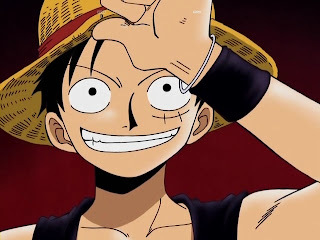 There are so many devil's fruit user in the vast sea Luffy met when he set sail 10 years after the heroic incident happened between he and Shank. The adventure become more exciting when he met his crewmate from time to time. Every one of them has different story and vow to the Nakama-ship. The journey still carry on from time to time, from manga (1999/2000) then I started to watch its anime since 2003/2004 until now which never fail to impress me. 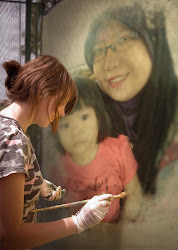 The story really moved me and give me new perspective in life. Luffy characteristic is very 'simpleton' in action but in mind he bear big responsiblities to his crewmates. Powerful yet playful and fun and happy. Take light in every things but serious is his responsible.His crewmate respect his as captain. His first crewmate is Roronoa Zorro, which entitle as Great Pirate Hunter from East Blue Sea, same sea as Luffy, the weakest sea from all seas. His ambition make him follows Luffy, his ambition to be The Greadt Swordman of the world. He even recognized by the great swordman Dracule 'Hawkeyes' Mihawk which also a shichibukai at that time. 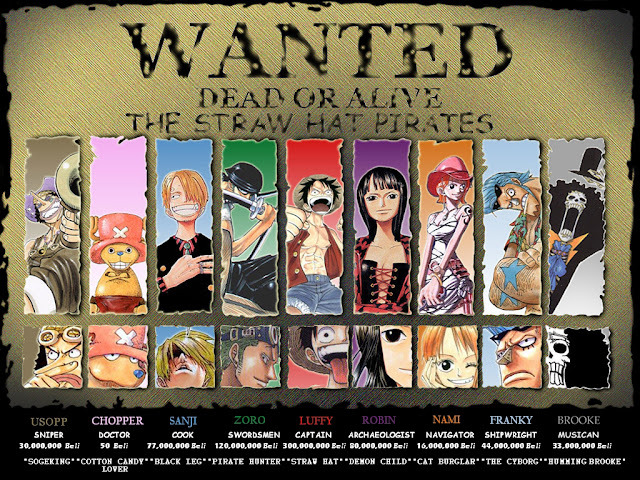 They start find them other crewmates one-by-one, Nami the Navigator, Usopp the Sniper, Sanji the Black Leg Chef, Tony-Tony Chopper the Doctor, Nico Robin the Archeologist, Franky the shipwright and Brooke the musician, respectively. They gave they name as The Straw Hat Pirate or Mugiwara Pirate in Japan. The straw hat is referred to the one which Luffy wears since given by Shank. They have fought a lot of evil and bad person for they own reasons. In this team, Chopper, Nico Robin and Brooke also a devil's fruit user. They begin to build respect all over the world by doing several random action, which helped by several respectful names in the worlds. The manga still carry on up till now, read here if interested. It has been up to episode 609 if you wanted to start it now and the anime reach episode 500 maybe. I downloaded it from torrent site right now. My download still episode 470's and I have a long way to collect them all. Onepiece still one of my oldest interest and still going. Good job Eichiro Oda for a great fine adventure story.